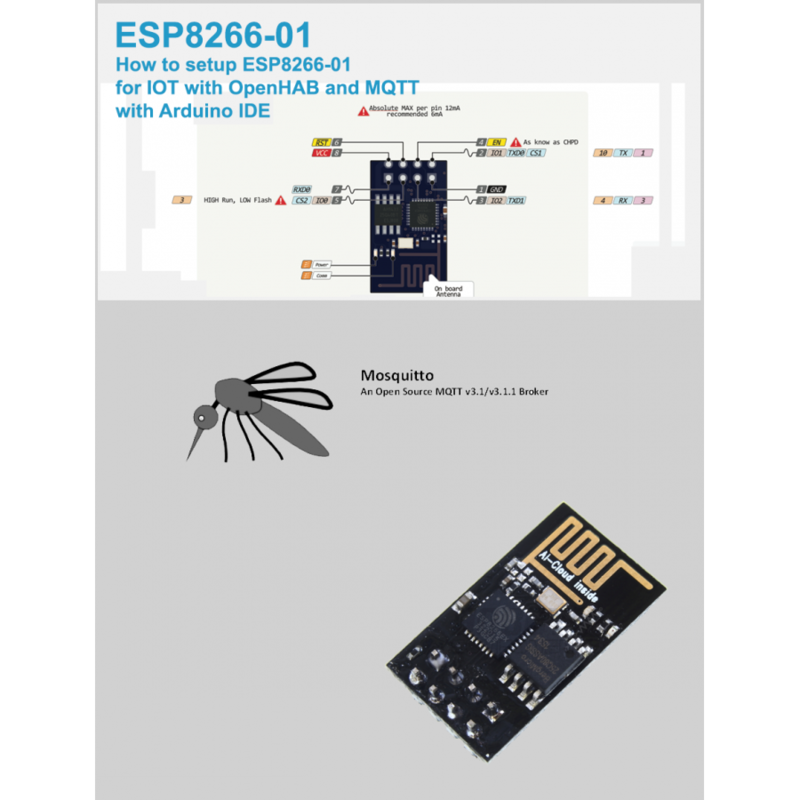 Both products combined will take you through a scratch build of openHAB 2 and mosquitto MQTT broker services on a Raspberry Pi 3 then walk you through setting up, compiling your code and programming a ESP8266-01 using Arduino IDE to integrate wirelessly with mosquitto MQTT broker services and topics for logical switching control. All tools, firmware, firmware programming tools, Integrated Development Environment tools, ESP8266 and MQTT Arduino support libraries, code and Arduino IDE sketches are included ensuring a successful build. The result is an ESP8266-01 output that can be turned on and off by merely publishing data to MQTT topics but a more key learning around automated device identification management, return sate control and monitoring methodologies. 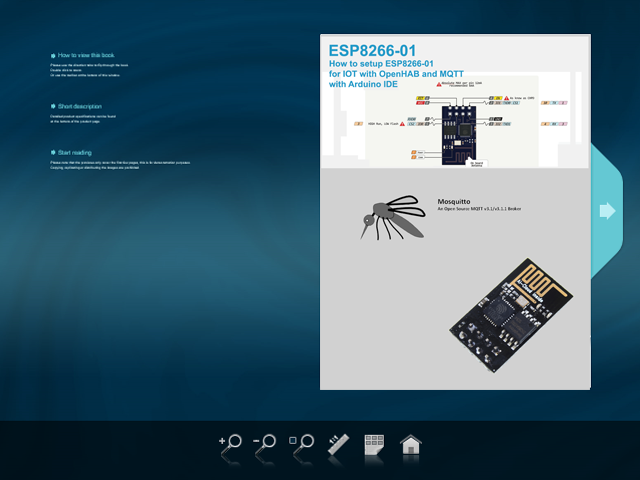 The learning from this project package enable control of esp8266-01 GPIO2 through OpenHAB and/or mosquitto broker service subscribed topics, using desktop computer browsers and Mobile devices Android and IOS etc. However if you want to take your project to the "next level" or real world you can develop your own supporting circuitry or purchase from our CE and ROHS certified line of GenSYS IOT series of products (coming soon) which can be programmed inline with your code and linked to your systems to achieve real control of devices such as appliances, motors, lights etc. the possibilities are limitless up to the specifications of the GenSYS IOT series of model hardware tolerance specifications. The video below demonstrates the endpoint of learning's provided in this project package. Video: Project Overview - working endpoint example-new video here! • 36 Page detailed eBook (English ony). 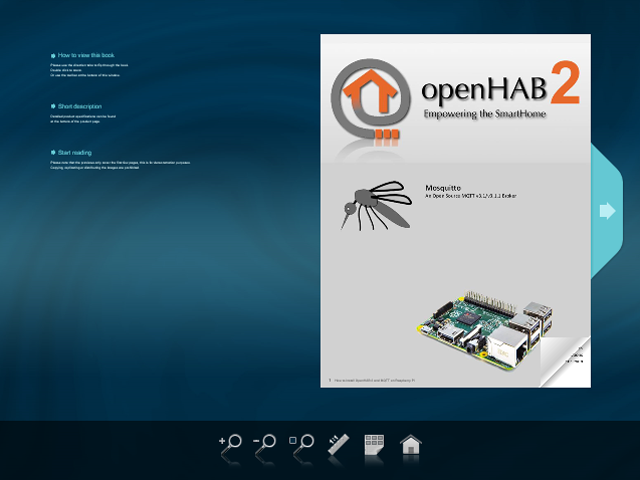 • 34 page detailed "How to" guide, How to install OpenHAB and MQTT on Raspberry Pi (english ony).